Tiffany Designs 16278 is simple in the front and a party in the back! 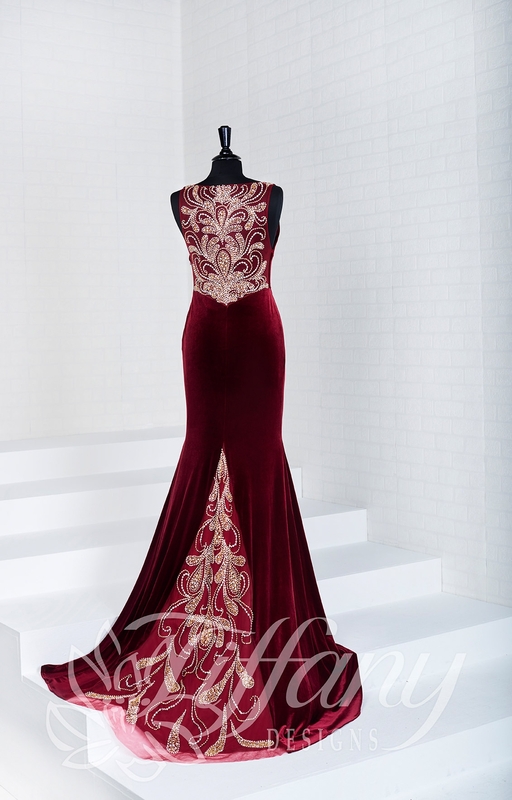 This long velvet column dress showcases a sleeveless bodice with a bateau neckline. A sheer illusion back is covered in a striking beaded design. A matching beaded train puts the cherry on top of this elegant design.